Meer mortals like you and I unfortunately don’t have a Tardis we can carry all our stuff around in. We have to resort to normal bags. Fear not though, we can still get Doctor Who themed bags. 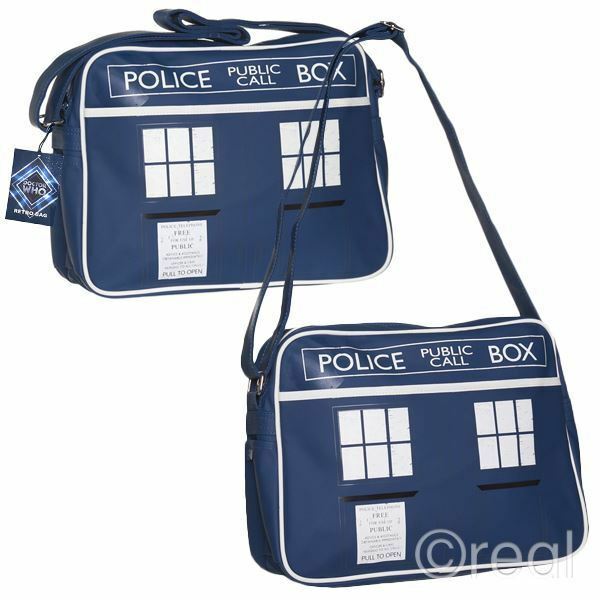 This blogs posts lists 5 of the best Doctor Who bags we could find. 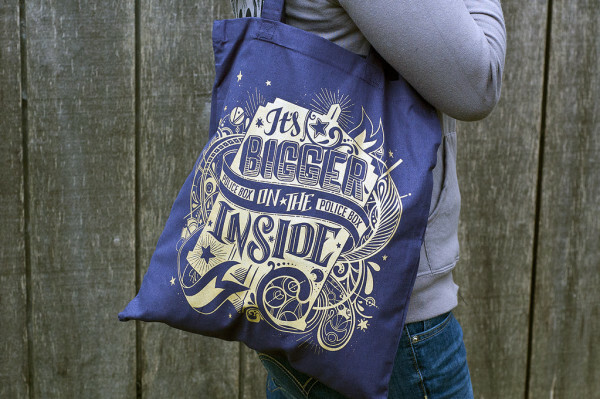 Perfect for the Whovian that has a lot of stuff to carry, this tote bag is bigger in the inside (it says so on it). I love the design on this bag. You can pick up this bag from UnicornEmprePrints. Looking for something to hold your IPad or tablet in? 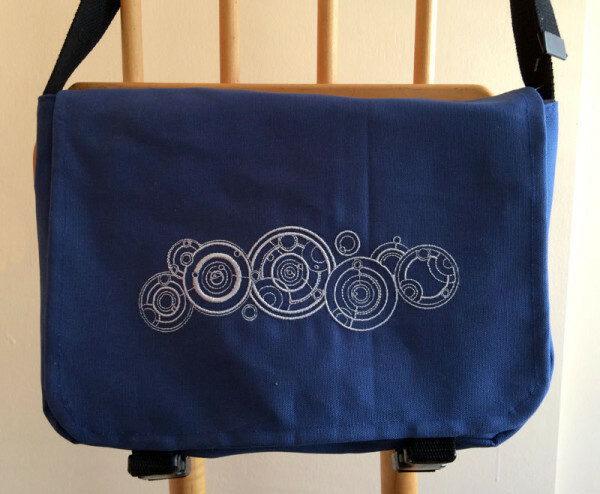 This Doctor Who bag with the Gallifrey sign on it would be perfect. You can get this bag from PopCulturePatches. 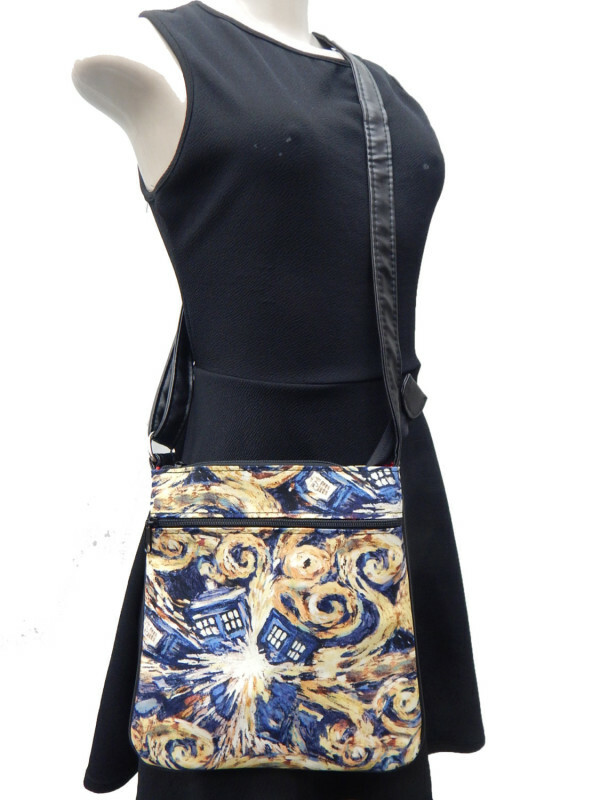 We couldn’t feature a blog post of Doctor Who bags without including one with the famous Van Gogh Starry Night Tardis pattern. This cross body bag can be bought from HandmadeFassion’s Etsy store. 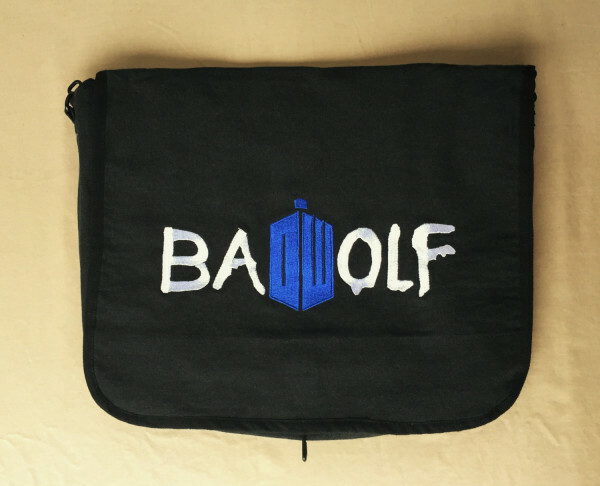 I like the way the design on this Doctor Who Bad Wolf messenger bag uses the new Doctor Who logo as the D and the W in Bad Wold. You can pick up this gem from ThisLittlePiggieBags. Looking for something a little more retro? Check out this retro Doctor Who Tardis school bag. I could only find this one for sale in the UK but you could always have it shipped to the US. You can get one from Ebay. 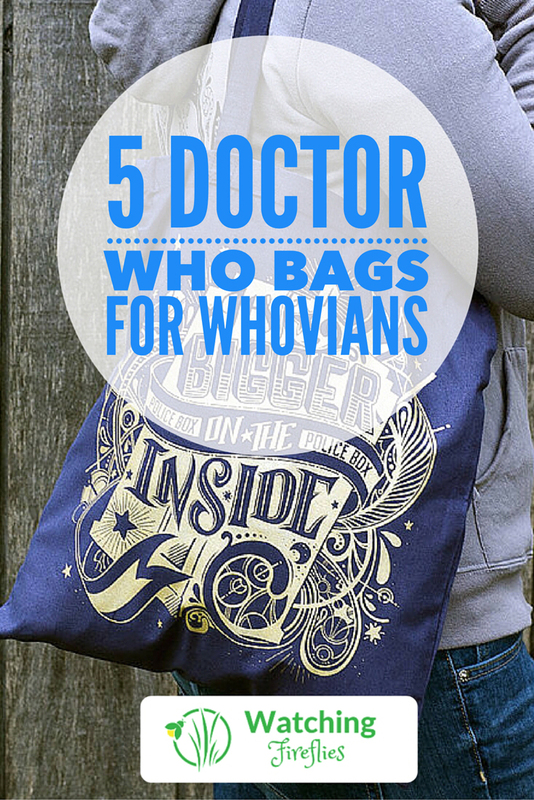 Have you seen any other Doctor Who bags you think should be included in this list? Leave us a comment below and let us know.